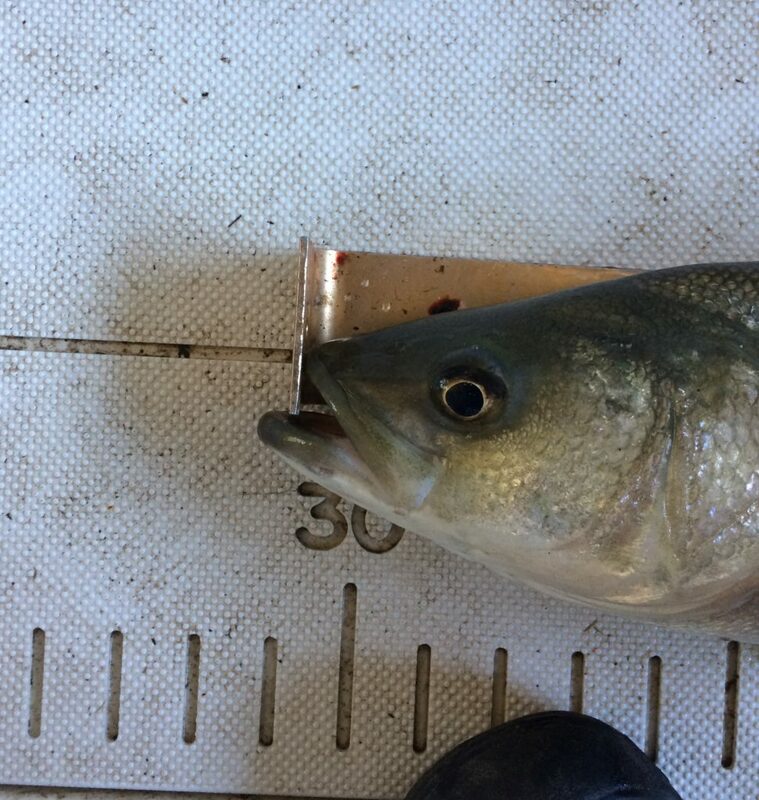 Current regulations: Size limits are total length measurements; fish must be measured tip of nose to tip of tail, except black sea bass, which are measured from tip of nose along the centerline of the body, to the center of the tail. This new wording will be inserted into each individual fish regulation. The only modification will be for black sea bass which excludes the long strand called the tail filament. VMRC public hearing on this new wording will be August 28, 2018 at the August VMRC Commission meeting. Comments should be sent to Rob O’Reilly, email: rob.o’reilly@mrc.virginia.gov not later than noon 12 pm Monday, August 27, 2018. Or you can show up the commission meeting to make your comments directly. VSSA is recommending we accept this new wording. 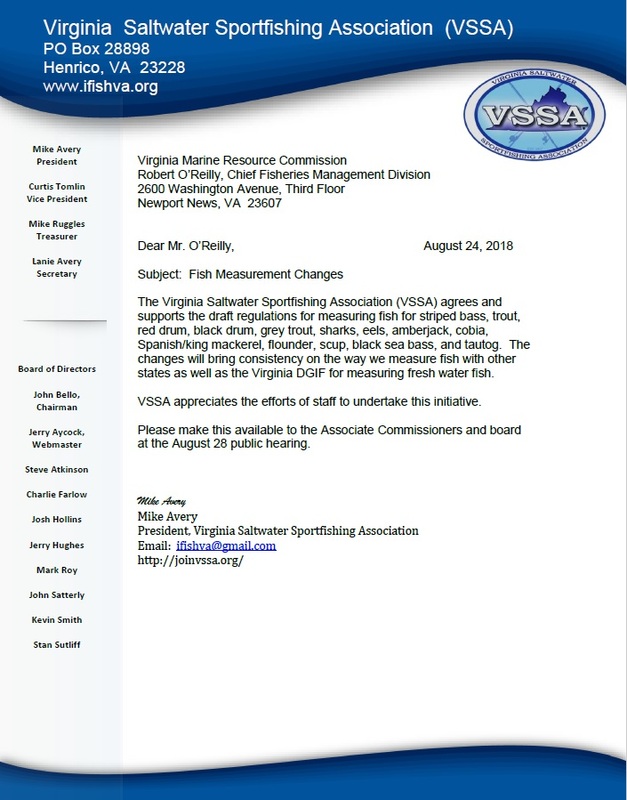 VSSA brought this issue to VMRC which was raised by our affiliate club member, Northern Neck Anglers Club, who some members had issues with VMRC law enforcement last rockfish season. VSSA has worked with VMRC on the wording so we will have regulations common with other states, just go to total length overall and allowing the pinching of the tails. 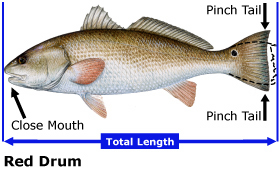 Virginia Saltwater: Size limits are total length measurements; fish must be measured tip of nose to tip of tail, except black sea bass, which are measured from tip of nose along the centerline of the body, to the center of the tail. Maryland: Size limits are generally based on the total length of a fish. The total length of a fish is the maximum length with the mouth closed and the tail pinched together measured from the snout to the tip of the tail. 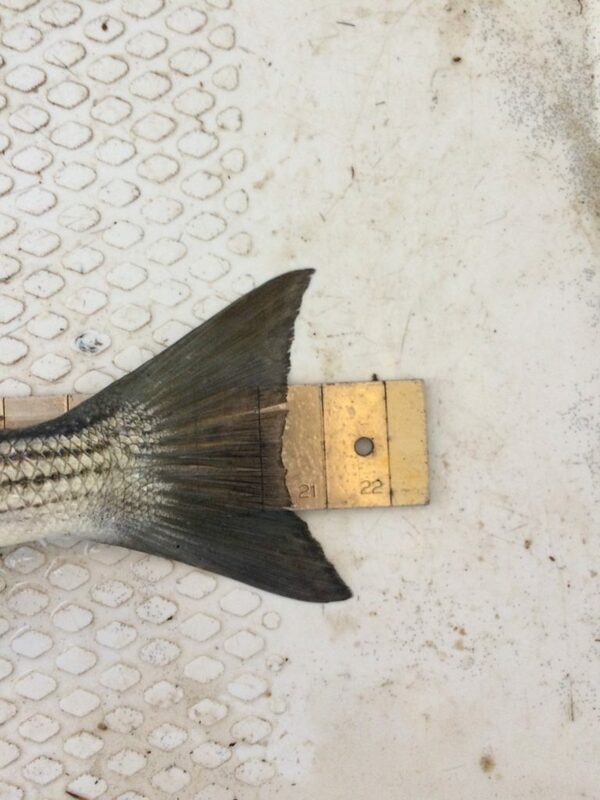 The best way to obtain this straight line measurement is to push the fish’s snout against a vertical surface with the mouth closed and with the fish lying along a tape measure and then pinch the tail fin closed to determine the total length. Florida: Total Length is measured from the most forward point of the head, with the mouth closed, to the farthest tip of the tail with the tail compressed or squeezed, while the fish is lying on its side.